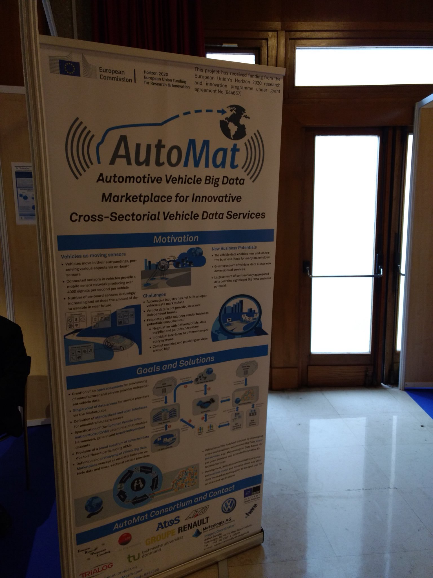 AutoMat as vehicle big data marketplace was represented by the project partners HERE and ATOS. 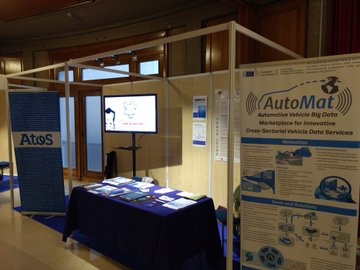 ATOS presented AutoMat in an exhibition stand and created significant impact. Here, the AutoMat concept as well as the services were presented to the forum visitors. 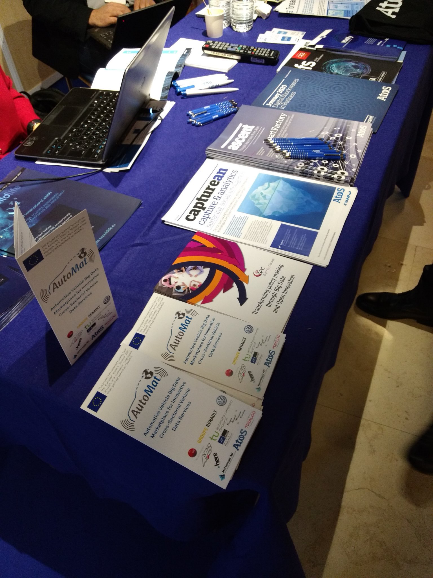 The partner HERE showcased the road roughness use case in form of a presentation. 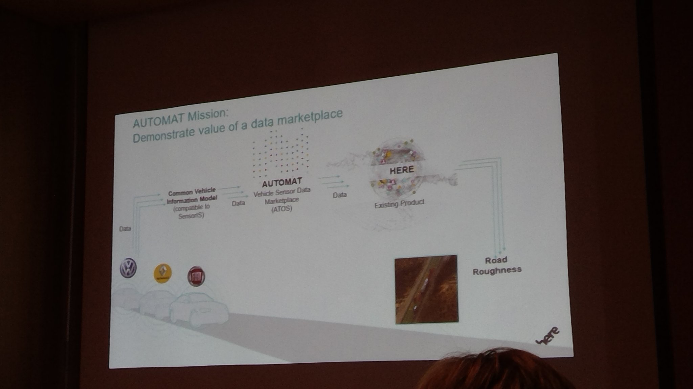 The talk covered, how vehicle big data in combination with data science methods lead to improved road quality and increase safety and reduce emissions.